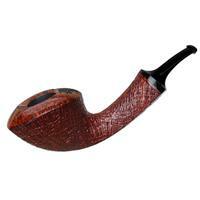 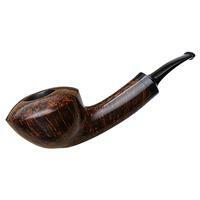 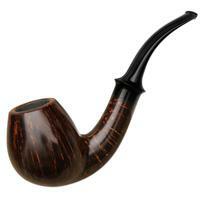 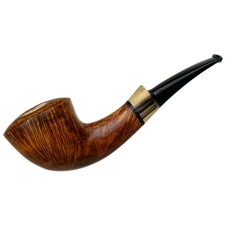 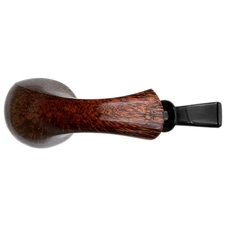 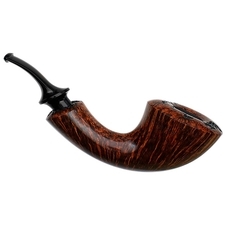 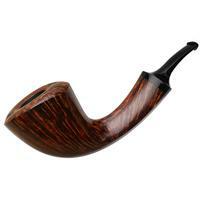 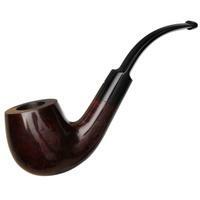 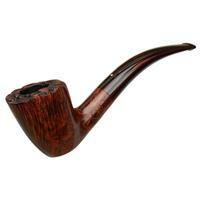 A very different sort of bent Dublin for Alexander Tupitsyn, this Horn-like fellow may be fairly understated of form, but it certainly shows a mixture of influences from several styles native to the Danish school. 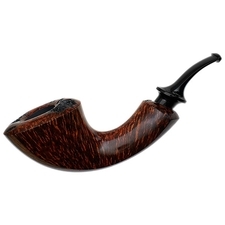 The pronounced, teardrop line at play calls to mind the work of Lars Ivarsson, though it foregoes the traditional dissolution of said line into the bowl itself, and opts instead to use it define the shape of the rim as an opposing teardrop shape. 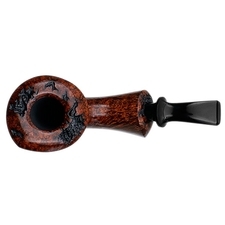 It's a slightly Ilsted-like approach to be sure, which comes as no surprise given Tupitsyn's affinity for the carver's aesthetic, and one which is splendidly complemented by his choice of contrast stain for this particular block, serving to highlight a vast display of flame and birdseye alike. 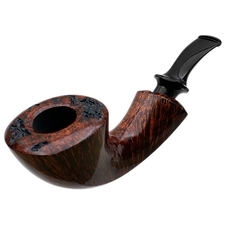 In silhouette, it also calls to mind the aesthetic of Jess Chonowitsch, with the domed rim leading to a curling, muscular shank. 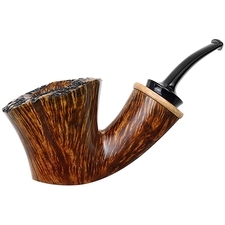 And for added measure, Alexander opted for a gentle dotting of craggy plateau about the crown and shank-face to impart a bit of organic texture.